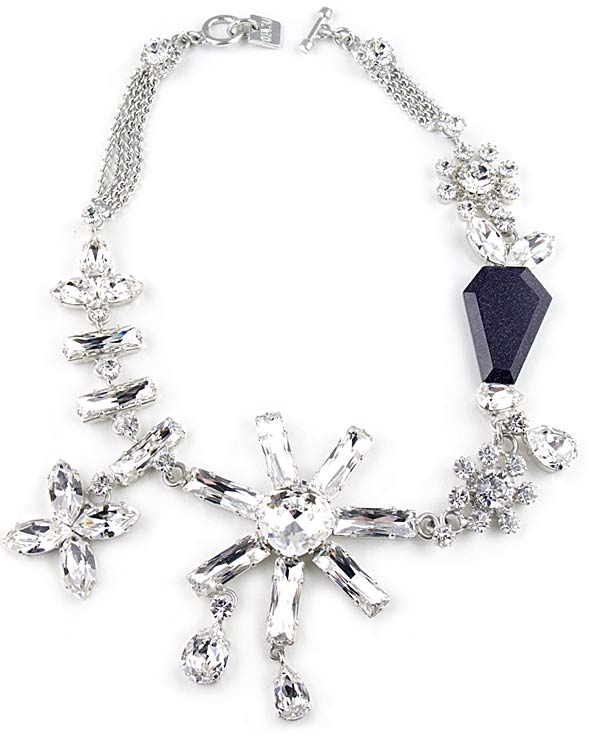 Silver necklace with Swarovski crystals by Otazu. This striking designer necklace features a 6cm (2.5") stylized flower dressed with 22mm swarovski crystals, black quartz gemstone, 2.5cm (1") rosettes and 22mm swarovski crystals. Necklace measures 43.5cm / 17" in length and has the trademark Otazu charm on the toggle closure. This designer jewellery is a showstopper and will add glamour and pizzazz to your evening outfit. Also makes a wonderful gift idea.